Raglan Color Block Sweatshirt in Red and Black. You’ll look effortless in this mens raglan color block sweatshirt featuring multicolored panels in bright red, black, and white. 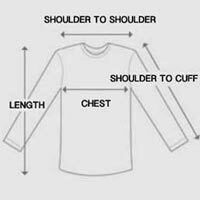 Pullover sweatshirt has a crew neck with dropped, raglan sleeves and ribbing along neck, cuffs, and hem. Terry cotton is lightweight with all-over stretch ideal for layering over tops. Whether you’re going out or staying in, this raglan color block sweatshirt for men looks cool with almost anything.